'Prime Minister' of Palestinian Authority thinks such a boycott will create new jobs for Palestinian Arabs. 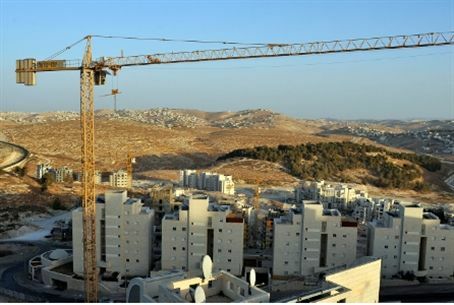 The Palestinian Authority (PA) is continuing a campaign encouraging its residents to boycott products made in “the settlements” – a term that refers to the Jewish communities of Judea and Samaria, as well as the Jewish residents of eastern, northern and southern Jerusalem. In a speech he gave on behalf of PA Chief Mahmoud Abbas, PA Prime Minister Rami Hamdallah called Sunday to strengthen the local Palestinian industry, boycott products made in the “settlements,” increase public activity against the Israeli “occupation” and continue to lay the foundations for the Palestinian state. Hamdallah praised the achievements of the “peaceful popular struggle against the settlements” and sided with boycotting any activity that serves the settlements. This probably refers to fellow PA residents who work in the Jewish communities or give them any services. The senior PA official said that the PA's daily consumption of products from the Jewish communities totals about $30,000 a day, and that if the Palestinian boycott is implemented, new jobs will be created for Palestinian Arabs. The PA has unsuccessfully attempted to boycott Israeli goods in the past. Just two days ago, the Palestinian Central Bureau of Statistics reported that the PA has seen an increase in imports from Israel. The PA’s imports from Israel in January, 2014, grew at a rate of 17.2%, while imports from other countries were down 16.4% compared to January of 2013. The numbers come after a report last month indicated that 70% of the PA's imports were from Israel, with imports worth $3.5 billion entering the PA from Israel. In 2011, the PA announced a boycott on products from Judea and Samaria and later extended the boycott to include goods made in the Jewish neighborhoods of northern, southern, and eastern Jerusalem. The PA’s Finance Ministry, however, has in the past changed the definition of the boycott to suit PA needs. At one point, the PA ministry had failed to pursue an indictment against a paper mill which was caught smuggling notebooks manufactured in supposedly boycotted areas, and excused this by saying that the area was not being boycottted due to PA investments there.